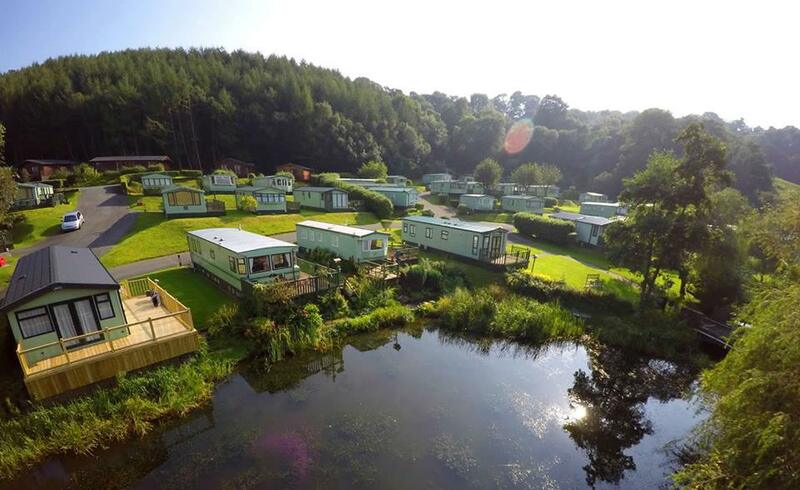 We work hard at Pale Wood in order to provide an excellent choice of holiday homes for sale in Bala, and we have a large variety of very good quality holiday homes to suit all needs and all budgets. 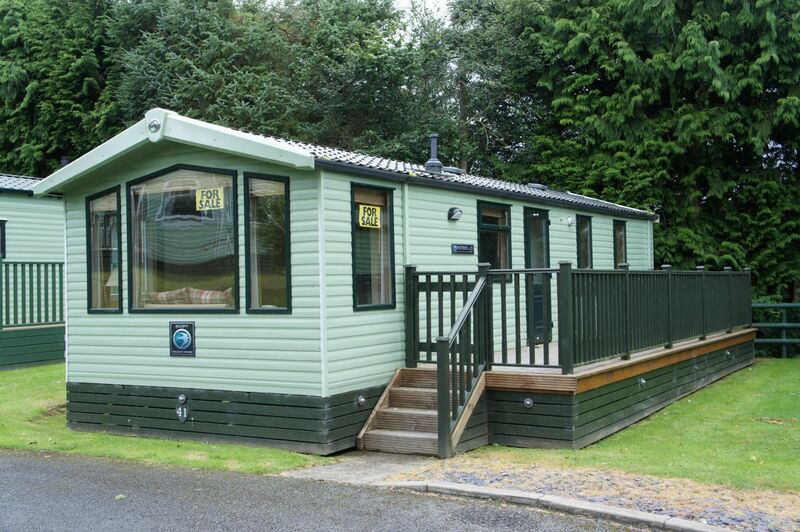 Whether your idea of a perfect holiday home is a brand-new-right-out-of-assembly beauty with all the bells and whistles – or even a pre-loved, carefully looked after holiday home which isn’t lacking on features or space, we’ve more than likely got the perfect fit for you. 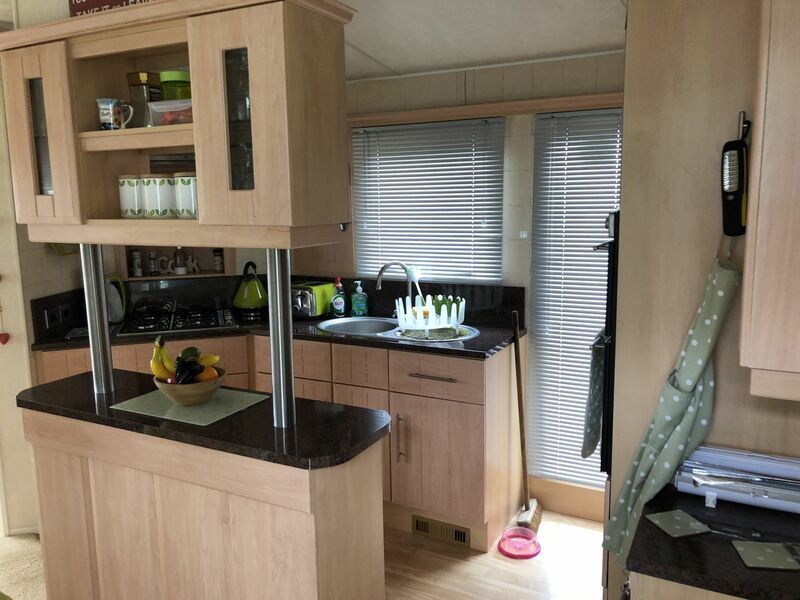 The Atlas Topaz Super at £16,500 is technically a very cheaply priced holiday home for sale, but “cheap” it absolutely is not. 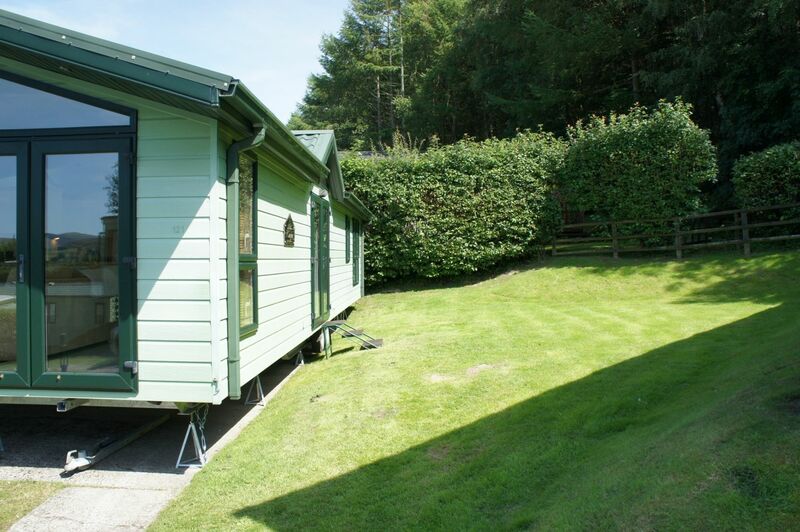 The Atlas Topaz Super is an excellent quality holiday home for sale near Bala, placed on a fantastic plot at Pale Wood which really benefits from the afternoon sun, and has full decking included so you can take advantage of this. Can you imagine long and lazy afternoons with good company, an ice bucket, as well as a steady supply of food and drink? That’s what summer’s all about, and if you agree, you’ll more than likely find that the Atlas Topaz Super is the holiday home for you. Looking at the Atlas Super from the outside is absolutely not indicative of the price, so you might expect the inside to be a bit of a fixer-upper! Nothing could be further from the truth. 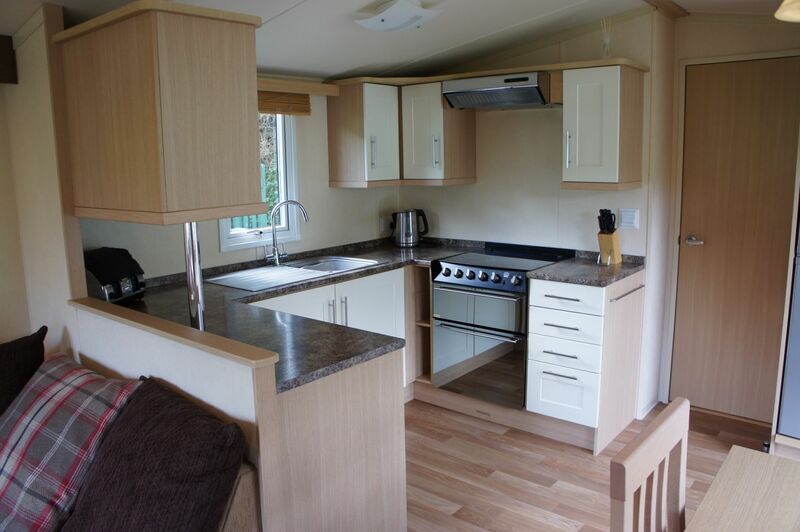 The inside of the Atlas Topaz Super is very well looked after, double glazed and comes with blown air heating, and designed to incorporate all the very best tenants of open plan living to take advantage of the space available to you. 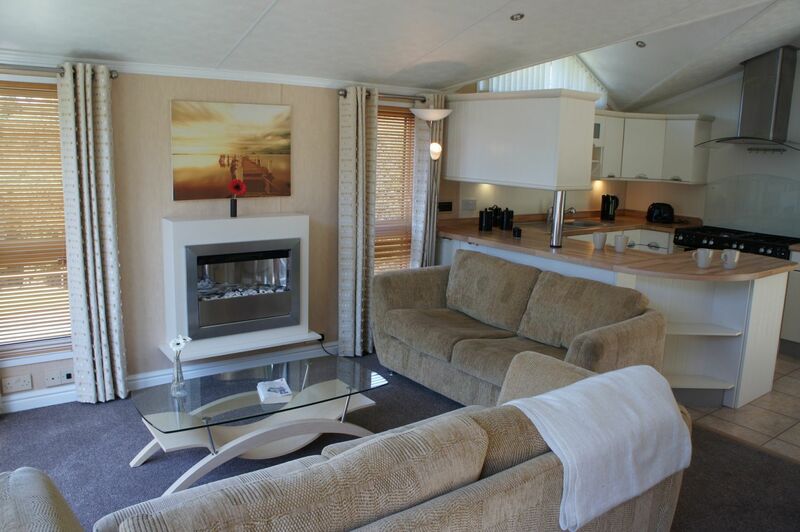 The Atlas Topaz Super boasts both fixed and free-standing furniture to help give it a more organic and homely feel, as well as a feature fireplace and freestanding table, and 2 bedrooms with a double bed and two singles in the smaller room, so the entire family can be nice and cosy as you stay. We don’t like nasty surprises, and we’re sure you don’t either. Therefore, we’ve even bundled 2018’s site fees into the price. 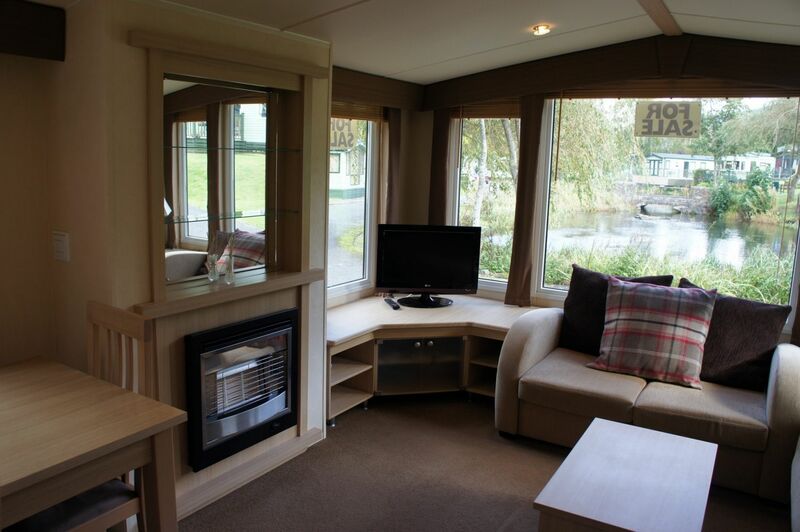 The Swift Moselle is a mid-range caravan offering a substantial amount, as well as perfect positioning to the lake. A fisherman’s dream, we’re sure! You’re close enough to the lake to see the fish (should you squint!) 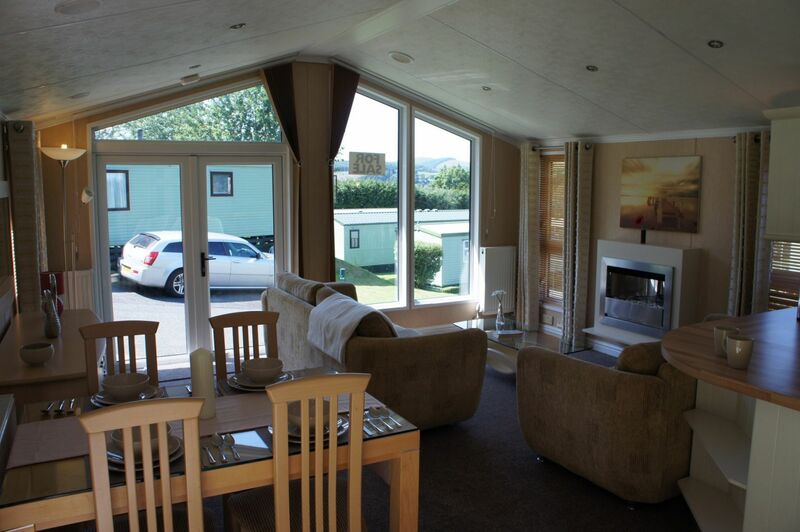 from the lounge of this gorgeous holiday home, and it comes with quite a bit of luxury to boot. You can enjoy the very best of open plan living with freestanding sofas (perfect for a home from home feeling, as well as allowing you the flexibility to chop and change your room layout as you see fit) as well as a feature fireplace and a rather large kitchen which is perfect for laid-back cooking. The kitchen also features a large fridge and freezer as well as quite a lot of workspace to enjoy. 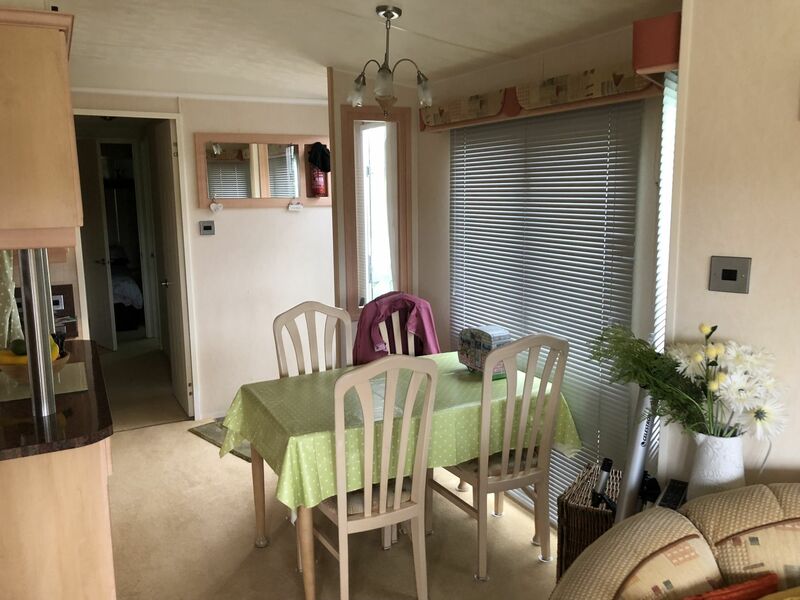 There’s plenty of space in this lovely holiday home right by the lake, and there’s a spacious family bathroom complete with a shower, a twin bedded guest room, as well as a master bedroom that comes complete with a large wardrobe. The ultimate in luxury holiday homes, and something we couldn’t wait to get our hands on from the moment we first saw it! 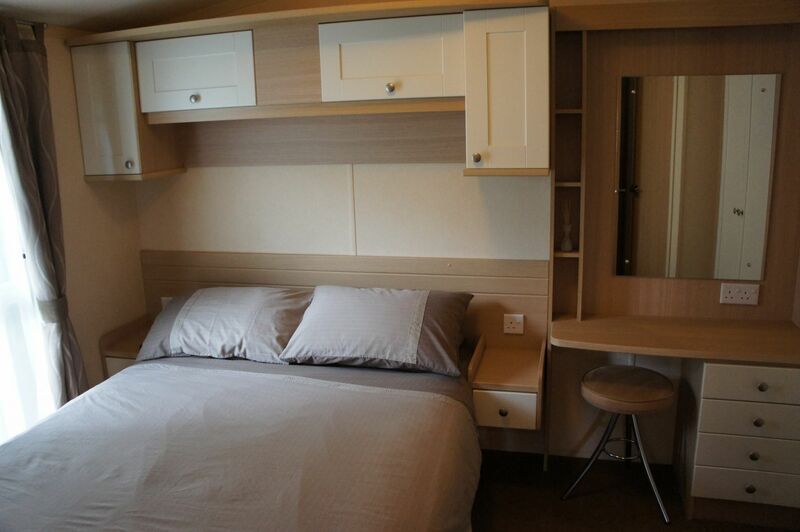 The Willerby New Hampshire has 2 gigantic bedrooms, 2 bathrooms (really!) and is fully double glazed and benefits from central heating. 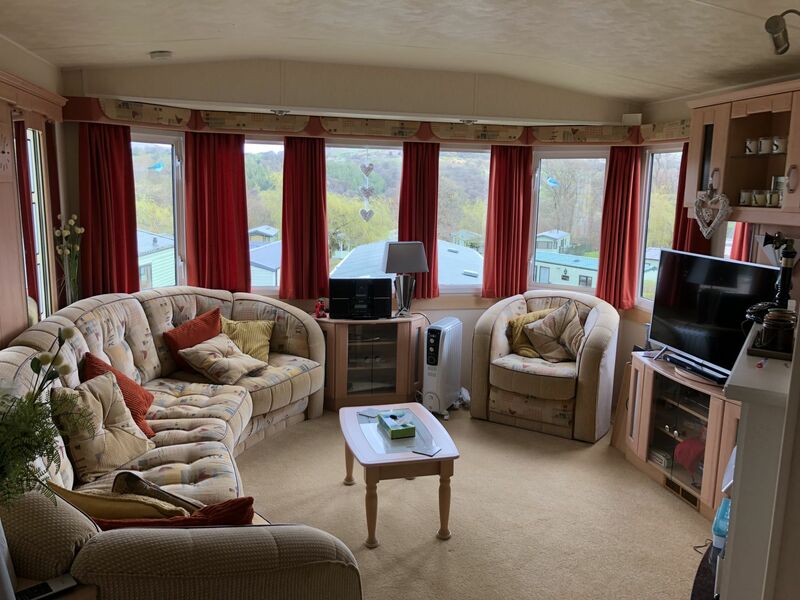 This beautiful lodge for sale near Bala can very much be considered to most people’s houses – it offers absolutely everything you could ever need, whether your getaway is for a day, a week, or even a month. Absolutely everything has been thought of with this fantastic lodge, and it even features a full kitchen, with an American styled fridge freezer, washing machine, dishwasher (because what’s the point of staying in something this luxurious and still having to do the dishes?) microwave, double oven and hob, and so very much more. 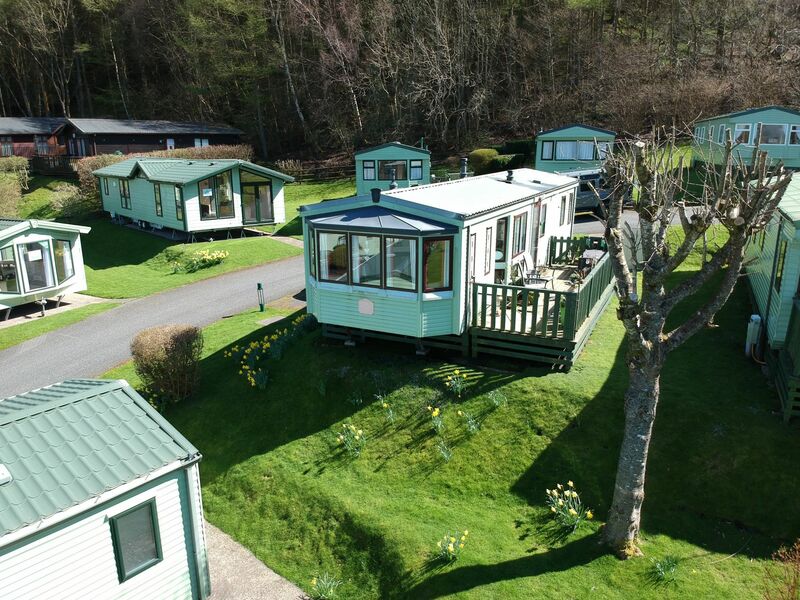 The plot that the Willerby New Hampshire is set in is rather remarkable as well, one of our largest plots, with plenty of space to set up decking. The plot in itself catches both the morning and the evening sun, so we’re certain a lot of use could be got out of this.